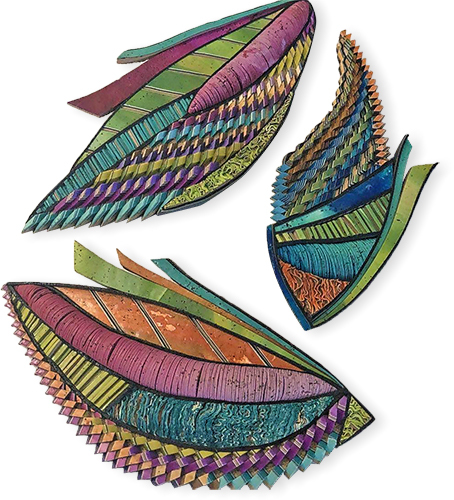 Utah’s Jana Roberts Benzon’s latest new pins/pendants show off her wing-like dimensional, veneer-covered collages. She’s about to offer her work on Etsy in a few weeks after years of resisting online sales. She’also promises to beef up her Instagram. It may be the grandbabies who are compelling her to stick closer to home. While we wait for Etsy to launch her, enjoy Jana’s works on Facebook and her website.